Hyaluronic acid is something I look for in a lot of skincare for its ability to thoroughly hydrate and nourish the skin. This is one of the main ingredients in Cosmedicine's Private Nurse Night Cream. This concentrated cream combines hyaluronic acid and sodium hyaluronate, which helps skin absorb moisture more thoroughly. Benefits | While my skin doesn't have deep wrinkles yet, I definitely look for products that help with fine lines and give my skin a boost of hydration. This nourishing cream softens fine lines and plumps even deep wrinkles so skin looks healthy and more youthful in the morning. Formula | I love the richness of this cream - it only takes a little bit to cover the face. 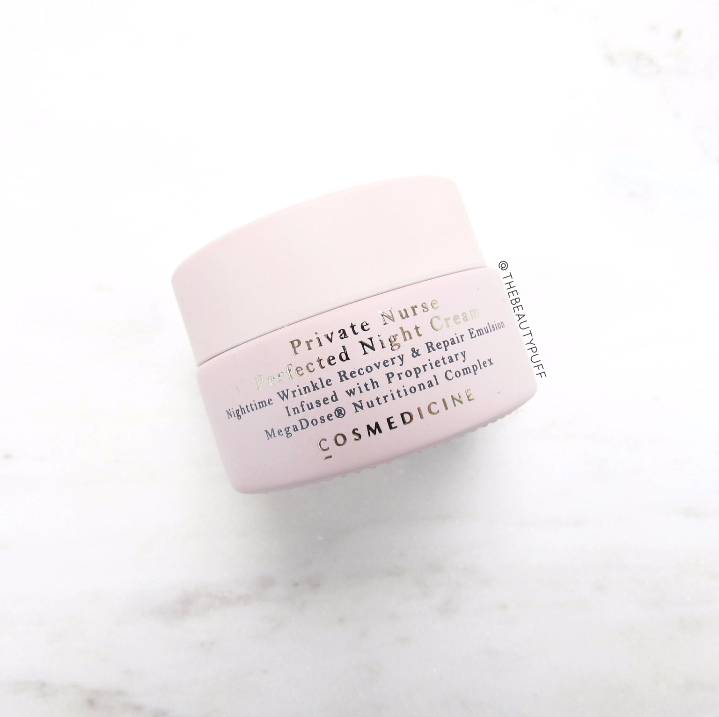 This thick, comforting formula is ideal for nighttime and I will definitely enjoy it going into fall when the weather gets cooler and my skin needs more TLC. Packaging | Cosmedicine has some of my favorite packaging. Each product looks like a present all on its own with beautiful presentation and luxurious materials. 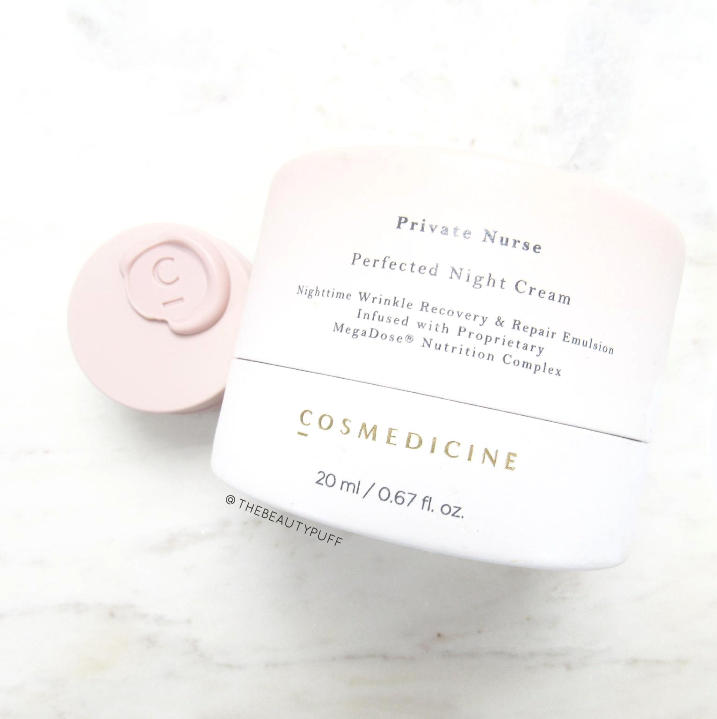 Private Nurse comes in an elegant little jar with the signature Cosmedicine "C" stamped on the cover. 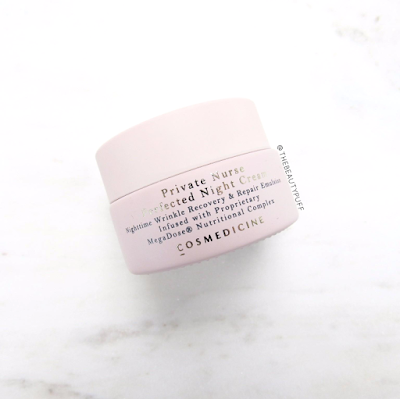 Shop the Private Nurse Perfected Night Cream below.